I took this photo at a nature park in Florida a couple of years ago. 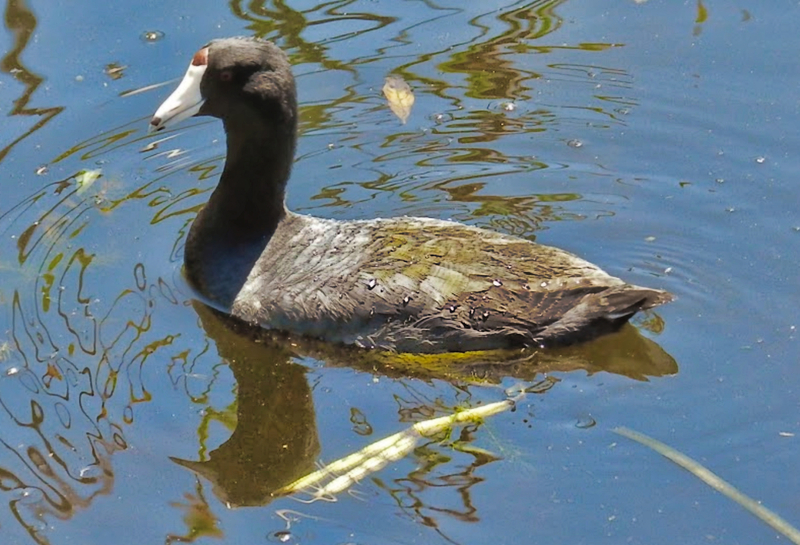 I love birds of all kinds, the Coot has become one of my favorite waterfowl because of their vocalizations and their strange chicken like feet as they gracefully glide in the water. In Florida they’re found in marshes, lakes, saltwater inlets, saltmarshes. I’ve since moved to Northern Arizona and to my delight I live near a wetlands reserve where the American Coot is in abundance.